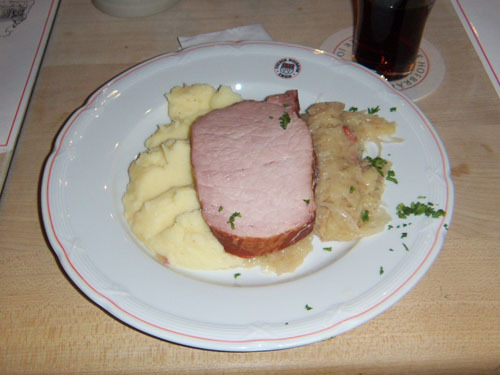 Of course I cannot go without a post about the food I had in Germany. Each night I had a good ration of meat, cabbage and potatoes. 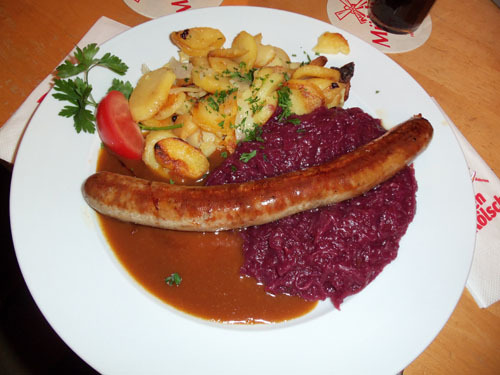 Pictured here - red cabbage fried potatoes and some sort of 'wurst. I was disapointed it didn't hang off both sides of my plate like the last time. Really I had enough meat to last a month. Although the menu said this was pork ribs, it was more like a mild slice of ham. With saurkraut and mashed potatoes. This right here was the grandaddy of all meals. 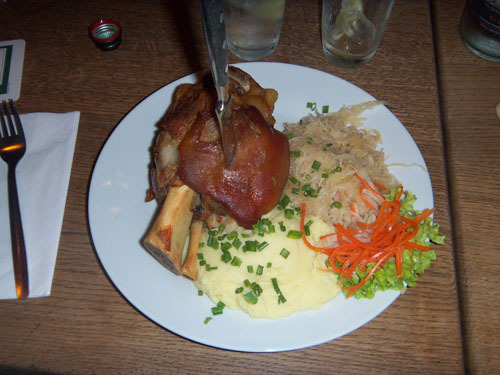 Pork knuckle. I was nervous to try it, but it wasn't all that unusual. And it was delicious! Standard saurkraut and potatoes were present also. 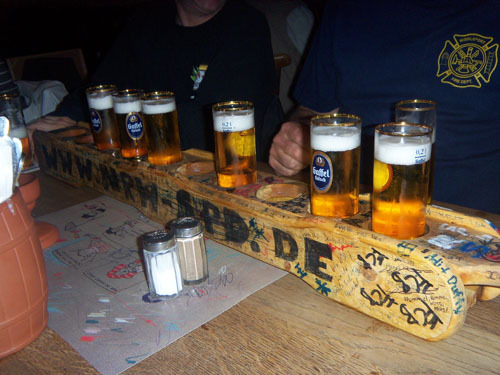 I imagine a lot of people would also consider beer another food group - especially the local specialty Kolsh. They serve it in small narrow glasses so it is always fresh. Some spots serve it from a round tray that hangs by a handle and this restaurant served it by the meter. 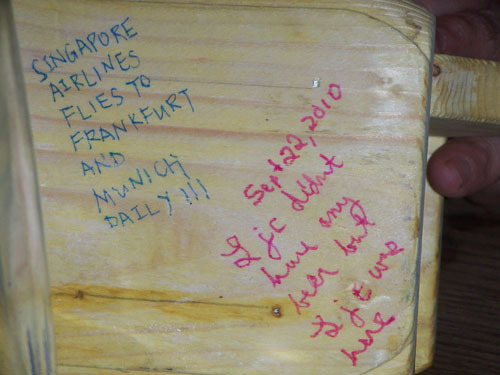 I was fascinated by the graffiti on the meter servers. Much to the disbelief of my dining companions, I did not partake of the Kölsch so I felt compelled to leave this note on one of the meters - "Ljc didn't have any beer, but Ljc was here"